Island Pump & Tank has been installing Hydrogen fueling facilities since early 2000's. Our factory trained techs have the right equipment to perform the job efficiently and safely. Many fleets are turning to Hydrogen as an alternative fuel to power vehicles and forklifts. Having an a zero emissions fleet is something that is happening now. Pure hydrogen vehicles emit Zero green house gases and the only substance that comes out of the tail pipe is water. Gasoline and diesel-powered vehicles emit greenhouse gases (GHGs), mostly carbon dioxide (CO2), that contribute to global climate change. Fuel cell vehicles (FCVs) powered by pure hydrogen emit no GHGs from their tailpipe, only heat and water. 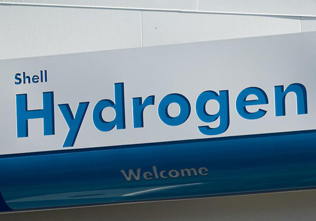 Producing the hydrogen to power FCVs can generate GHGs, depending on the production method, but much less than that emitted by conventional gasoline and diesel vehicles. FCVs could reduce our dependence on foreign oil since hydrogen can be derived from domestic sources, such as natural gas and coal, as well as renewable resources such as water, biogas, and agricultural waste. That would make our economy less dependent on other countries and less vulnerable to oil price shocks from an increasingly volatile oil market.